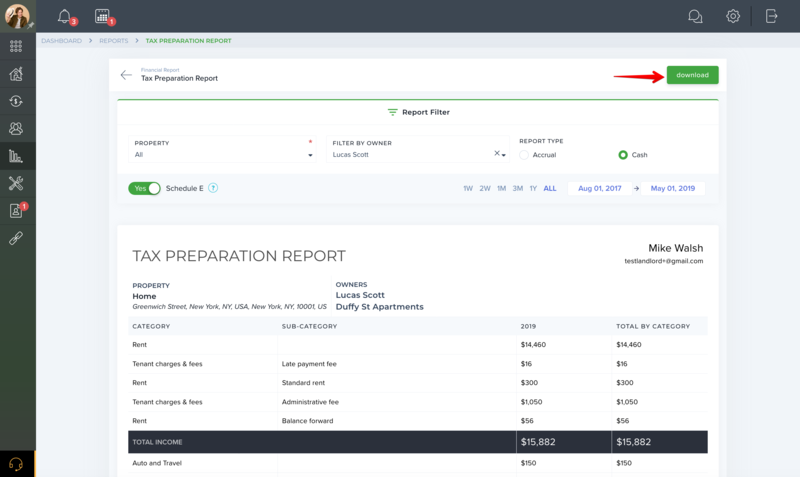 Report that shows all income and expenses for a specific period of time. This report is designed to help a landlord file their taxes. The report will include all income as well as expenses, management fees paid, depreciation and interest expense over the set time period. Deposits, Prepaid rent and other liabilities will not be included.